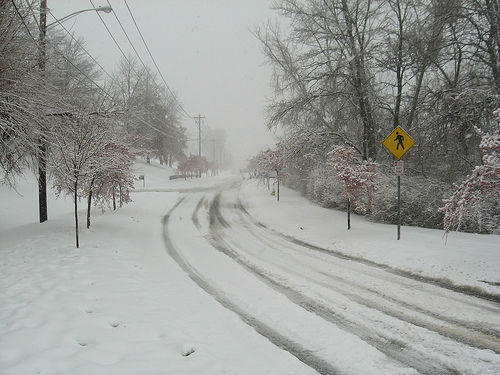 No matter what road conditions are like, it is essential for a driver to give the road their full, undivided attention. This become even more vital when driving in hazardous conditions. A driver should never allow outside conditions to disrupt their attention. If you are uncomfortable driving in certain conditions, slow down. Do no worry about other drivers who are in a hurry. Your safety and the safety of your passengers is more important. In cases of low visibility you will need to slow down significantly. If you cannot see more than a few feet in front of your car, you should pull over immediately and turn on your hazard lights. It is unsafe to drive in such conditions. Additionally, you may want to get away from your vehicle and the roadway, in case it is struck by another driver who in unable to see. Hazardous road conditions often hinder your ability to brake quickly. Therefore, it is important to maintain a safe speed and driving distance. You never know when the driver in front of you is going to brake or when an obstacle in road may present itself unexpectedly. Call us today at (314) 361-4242.